Get to know the opulent lifestyles and famous families of Mexico City’s socialites and the expats vying for a spot in their exclusive social order. The show is produced by Love Productions USA and includes Richard McKerrow, Kevin Bartel and Brandon Panaligan as executive producers and Lauren Volonakis and Matthew Moul as co-executive producers. Get To Know The Opulent Lifestyles And Famous Families Of Mexico City’s Socialites And The Expats Vying For A Spot In Their Exclusive Social Order. 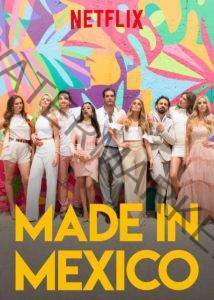 If you like what read about Made In Mexico, please remember to share Netflix New Releases on Facebook, Twitter or wherever you guys want it’s all appreciated.